Horatio is an online writer with over six years experience covering topics related to the travel industry and the auto industry. 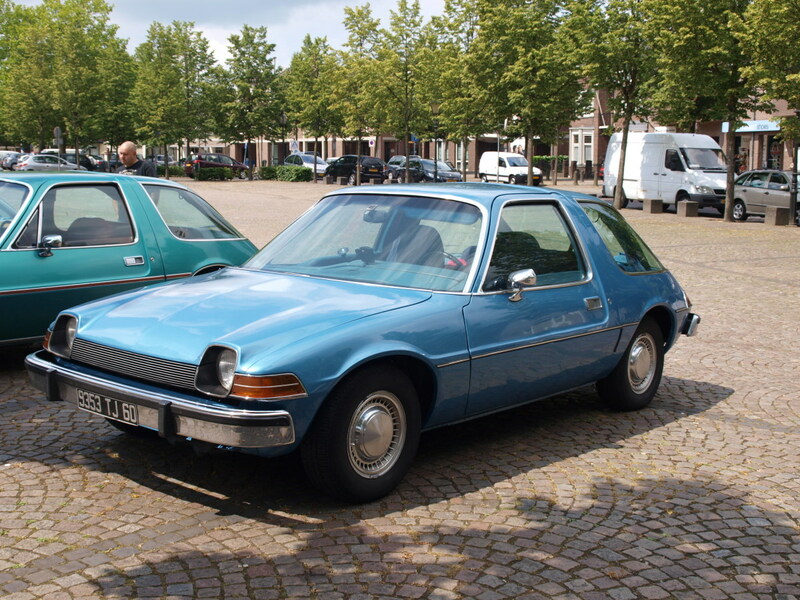 The AMC Pacer was launched amid a blaze of optimism from the American motoring press, who labelled it as revolutionary. 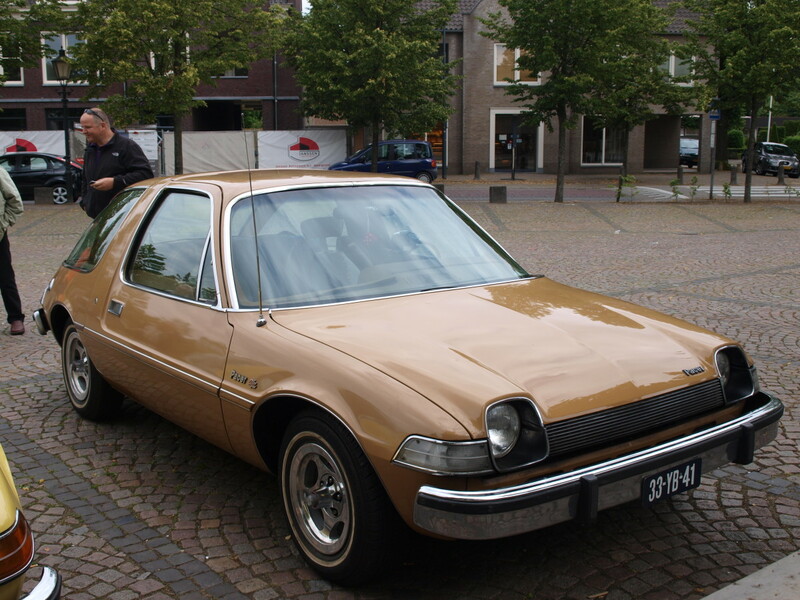 Looking back some 37 years later, history paints a different portrait of the Pacer as a horrendous apparition that taints the proud tradition of American car making. But, was it really all that bad? Horatio Plot examines the facts. When I first went to North America aged sixteen in the summer of 1975, my parents and I were met at Toronto airport by my Dad’s cousin, the wonderfully craggy, frail, chain-smoking Cliff and his trusty 1965 AMC Rambler Cross Country. When we returned the following year Cousin Cliff had suffered a series of heart attacks, had a triple bypass operation, was still smoking and had ditched the Rambler for something he referred to as his “moon buggy”; the amazing bubble on wheels that was his brand new beige AMC. It felt to me like I’d landed on Mars. The future had just arrived and its name was Pacer. 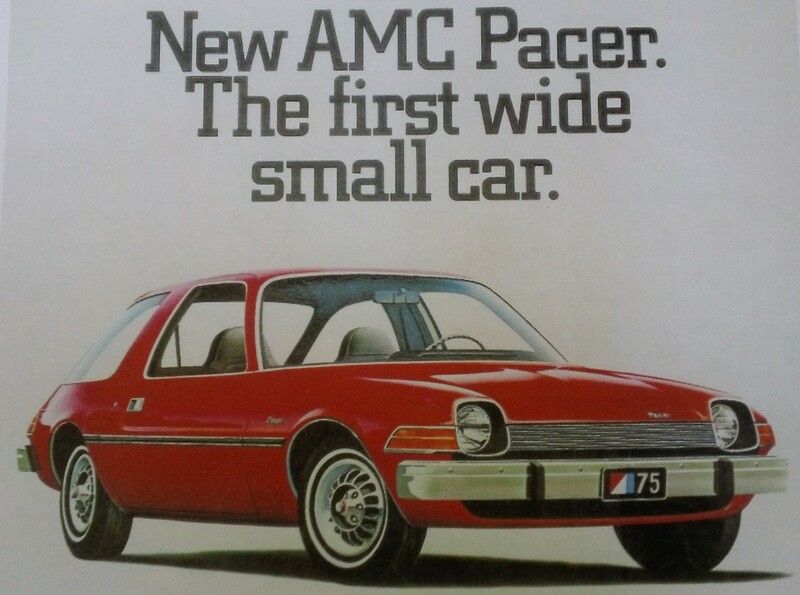 The Pacer was launched by AMC to an unsuspecting American public in the spring of 1975. 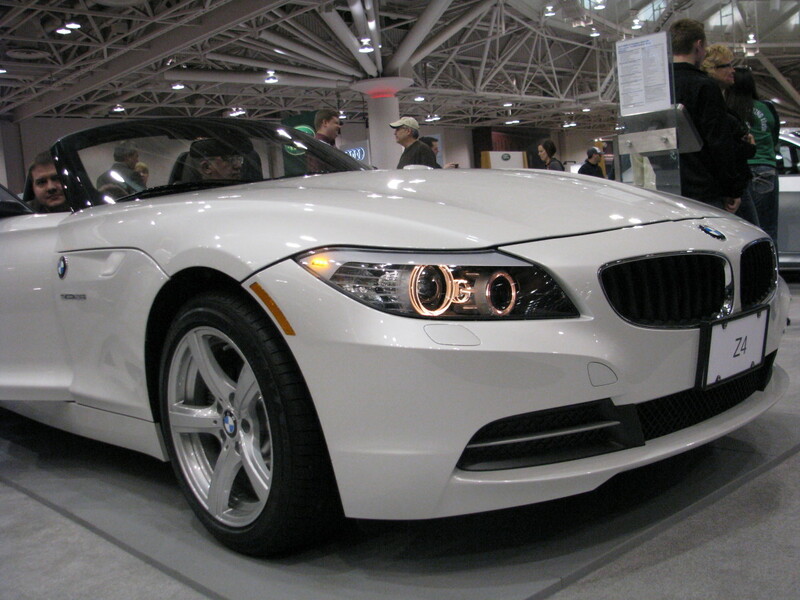 Into a sea of large, square and wallowy cars they floated a design so cutting edge it took the breath away. A small car that was wider than it was tall; 2 feet wider in fact, with a huge wrap around 3 piece rear window that gave it the appearance of a spaceship. The car had 70% more glass area than the average car in its class. And along with the futuristic styling came the promise of technology to match. There was no denying the mood of optimism as the Pacer was launched to the press by AMC chairman Roy D. Chapin Jr. in January 1975. It was a moment also charged with trepidation as this was American Motors last roll of the dice. It was hope and fear all rolled into one after a topsy-turvy year in which AMC’s sales were down 50% on the previous year in a tough environment where sales across the industry were down 29%. Everybody was doing badly, but AMC was doing the worst. 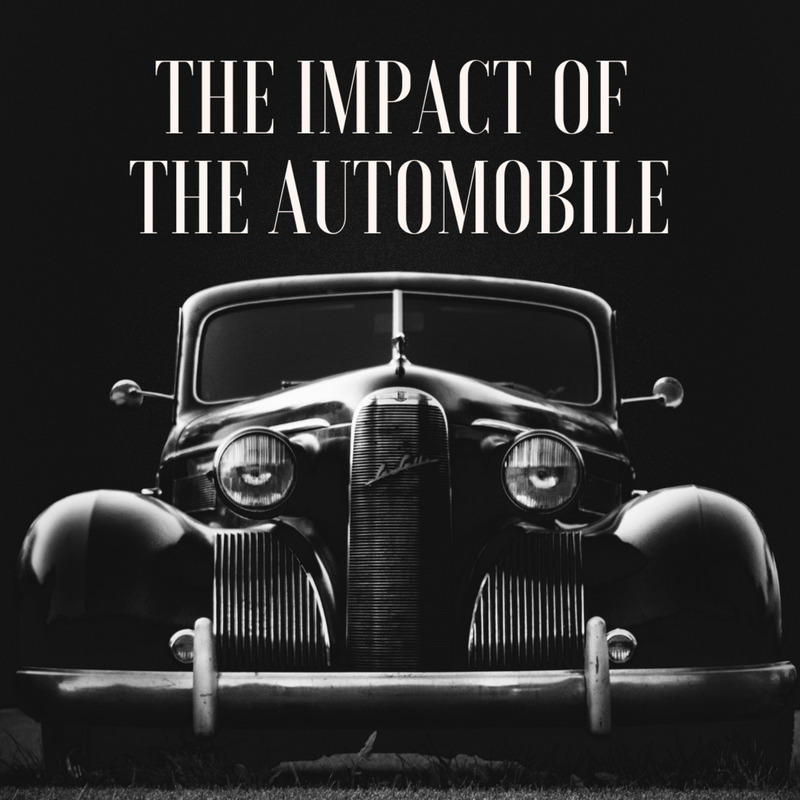 The Arab oil embargo had actually meant AMC increased sales by 15% against an industry fall of 21% as customers scrambled for small cars, but then the company had been crippled by a three week strike in the September. There was a bunker mentality at the Plymouth Road, Detroit headquarters as they mixed it with the big boys. And so, fighting for their lives, AMC threw everything at the project including the kitchen sink. So much so that they made a car that looked like the kitchen sink. In fact one of its nicknames became the upside down kitchen sink. Not to mention the upside-down bathtub. Conceived from the inside out the Pacer was designed to be small but roomy, as the company blurb said, “Because Pacer is the first wide small car, it’s also the first small wide car.” In other words the car would offer the handling and manoeuvrability of a small car while giving the benefit of the interior space normally only found in a large sedan. And it that respect it succeeded. 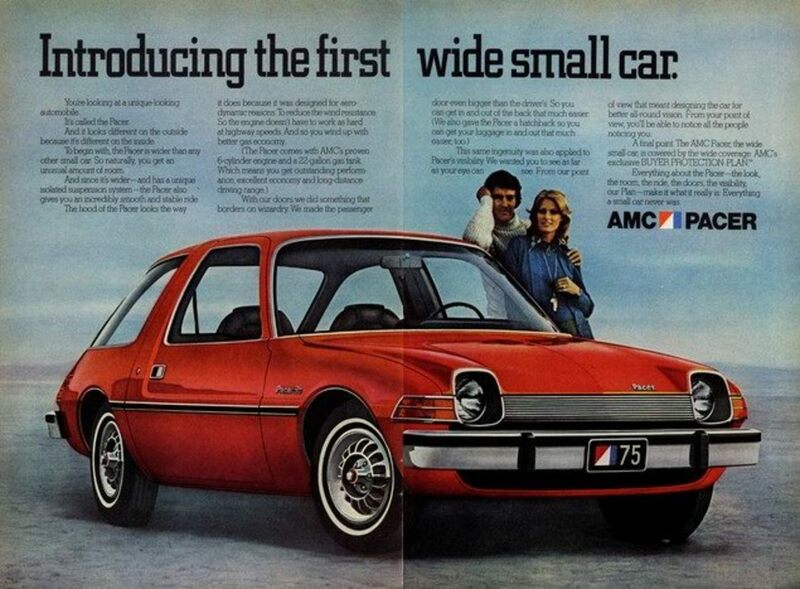 It would have succeeded even more if AMC had not had to change the engine shortly before production. 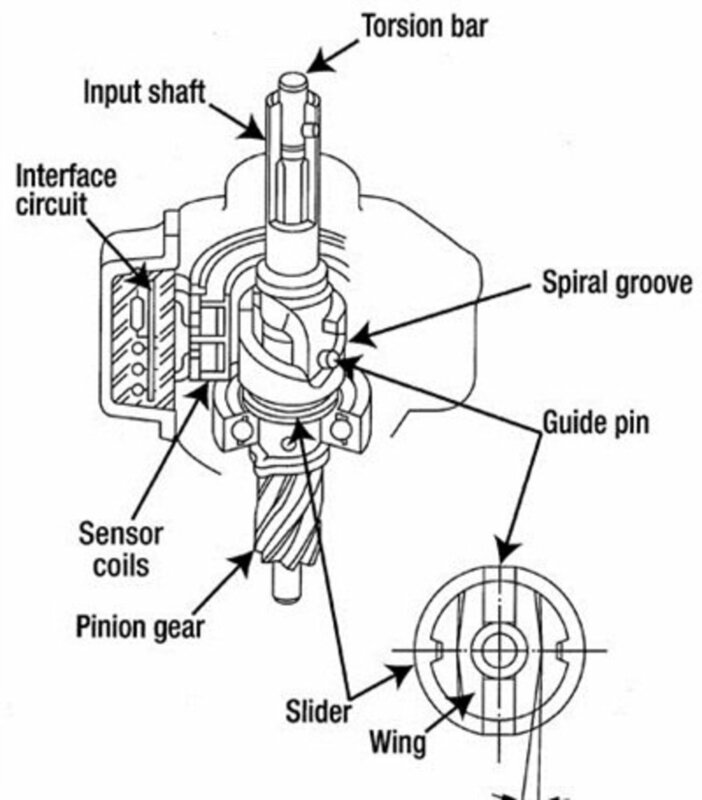 The power unit was to have been a cutting edge rotary Wankel engine purchased from General Motors. 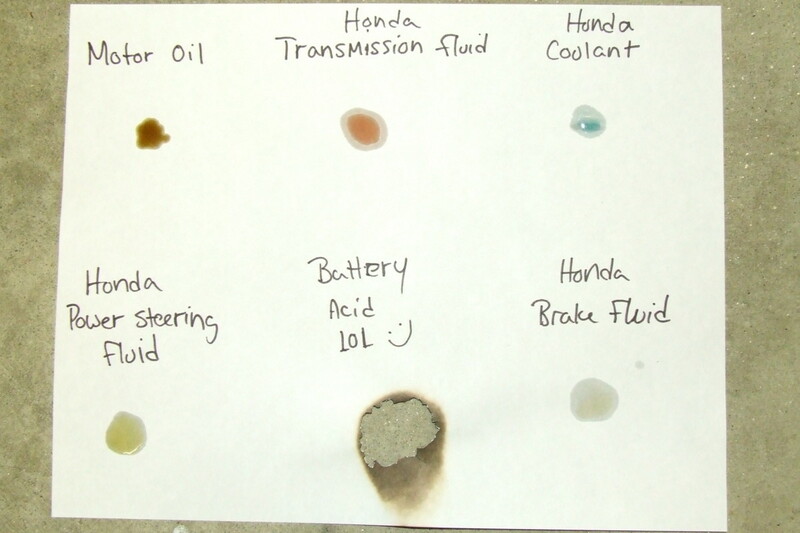 The car was designed around that engine. Unfortunately GM withdrew, as the Wankel was proving neither reliable nor fuel efficient, and in the wake of the 1974 Arab oil embargo this was now an issue. The engine also produced high amounts of N0x gasses that would not comply with the new emissions regulations. 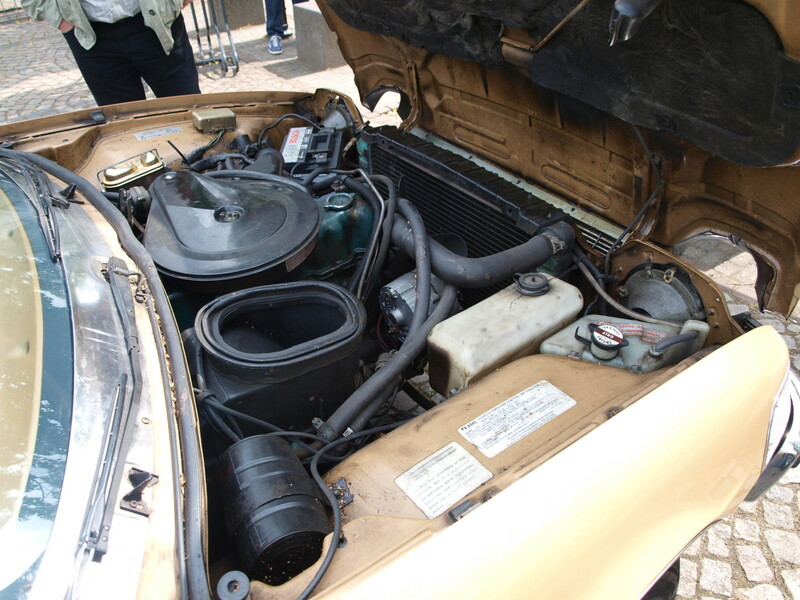 So AMC put their standard tried and tested 3.8 liter 232 cu.in. straight six under the hood. It was a tight fit but they squeezed it in. This change compromised the interior space and effectively rendered it a four-seater as it necessitated the use of a drive tunnel to get the power to the rear wheels which took up space in the rear seating area. The Wankel which would have been front wheel drive would have needed no such tunnel. The car was still roomy but not as roomy as it might have been. The engine change also fundamentally altered the nature of the car's dynamics. What was meant to be a nippy little go anywhere kind of a car was turned into a heavy, slow kind of a car. It was a personality change that would come back to haunt AMC. 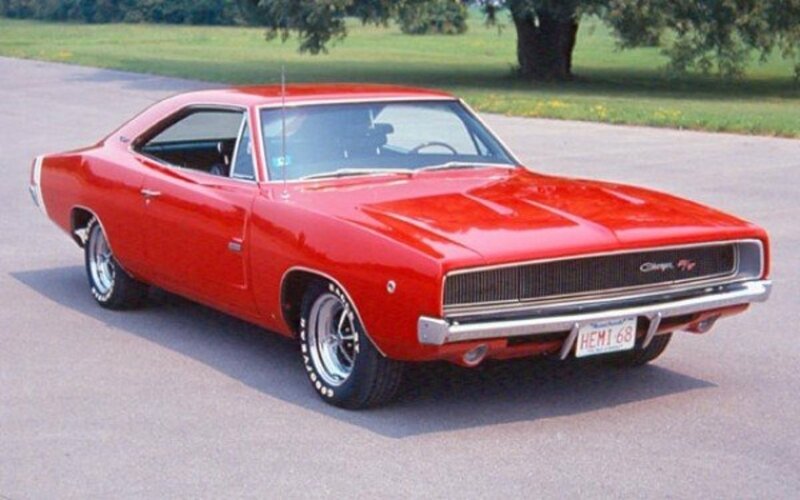 The car was an instant hit with the public selling 145,000 units in its first year. They loved the looks, the visibility, the space, the sense of the future and the quirkiness exemplified by the uneven door lengths. The passenger door was 4 inches longer than the driver’s door to allow for easy entrance and exit; perfect for the urban Mom dropping the kids off. The doors were also hinged to move out slightly from the top as they opened, to make sure junior didn't hit his head. The people also loved the small turning circle which was due to the rack and pinion steering that utilised the extra width of the car to great effect. It was design features such as these that made for the initial success. The Pacer was a little sparse on equipment though with an extras list that would make even present day Audi or BMW blush. Automatic transmission was an extra $299 and air conditioning $399.95 – more than a tenth of the base price of $3,299. An 8 track AM/FM radio was $239. Ah, where would a 70s car be without an 8 track. 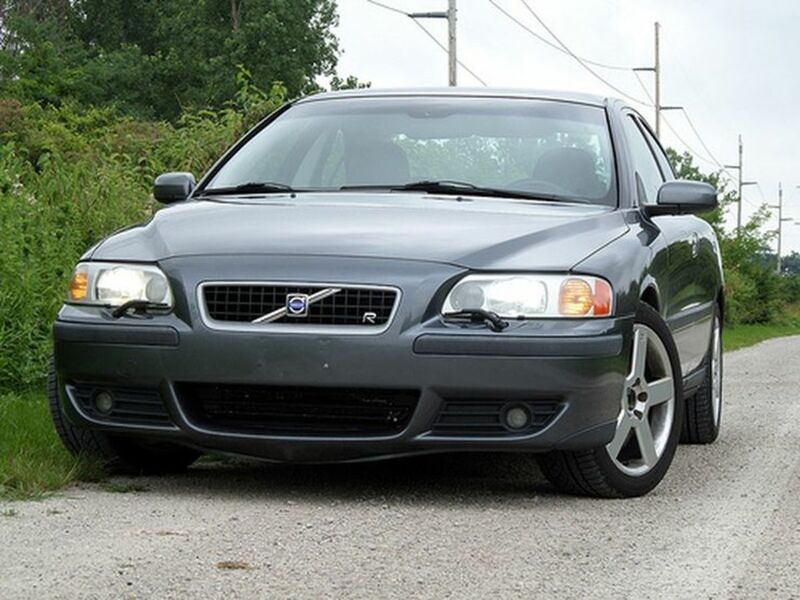 The “Announcement Package 1”, of tinted window and power steering was $139 and “Announcement Package 2” of a front sway bar, steel belted radial tires and power front disc brakes was $203.45. 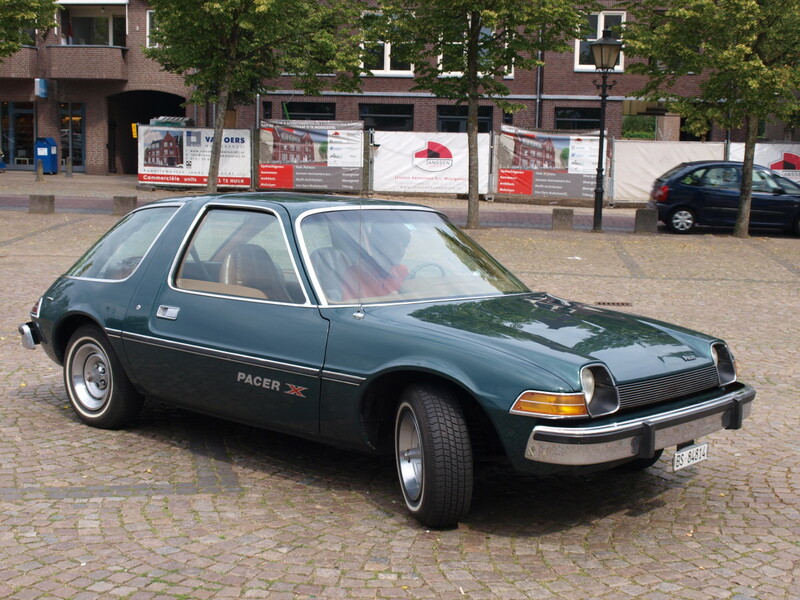 So in order to get your Pacer up to scratch you had to part with the best part of $1,300, taking the price up to about $4,600. Some of those extras were vital. 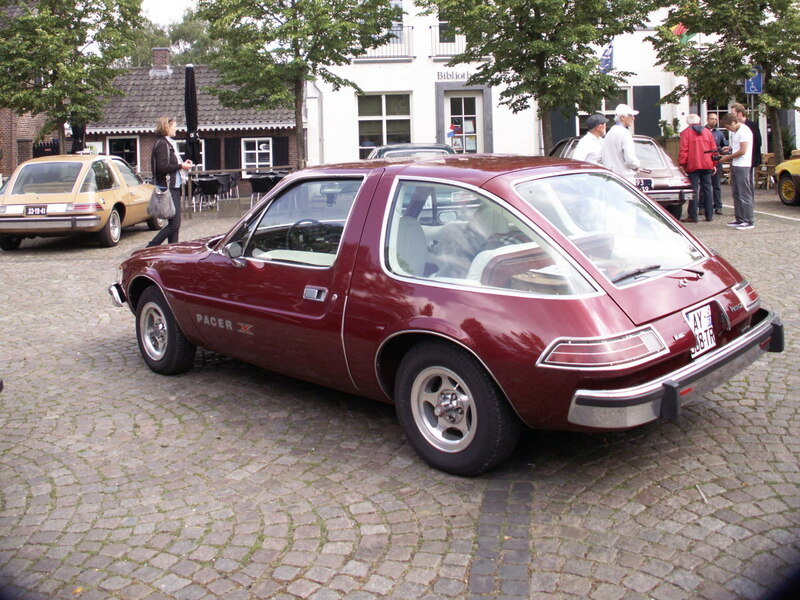 The huge glass area made the air conditioning and the tinted glass essential while the power brakes, given the car's weight, were a necessity in order to stop the Pacer without developing thighs the size of Steve Austin. The engine was just one element that led the “Flying Fishbowl” as Car and Driver nicknamed it, to weigh in at over 3,200lbs. All that glass added to the weight, as did all the much hyped safety measures. AMC wanted to stay ahead of the game and so incorporated a lot of features that were expected to be required over the coming few years, such as a roll bar, which gave rise to the huge, thick B pillars – the ones just behind the driver’s door, and the massive doors designed to take side strengthening beams. The car lobby won the day however and the new regulations were not as draconian as at first feared. However this meant that AMC were left with a car that was heavier than it needed to be. So it was wide, but small... And heavy. In the second year around 120,000 Pacers were sold but the cracks were beginning to show. The engine was slow and unresponsive, the car taking over 14 seconds to get to 60mph, and it only clocked around 16mpg, less if you used the air conditioning, which you did because of all that glass. It was hard to park because of the width and weight, and mechanical faults were beginning to show through. The electrics were proving unreliable and there were reports of the steering seizing and failing due to the extra weight and strain imposed on the steering rack by the heavy engine. Pacer sales in the third year dropped like a stone to around 20,000 and then to below 8,000 in the forth, 1978. The writing was well and truly on the wall. 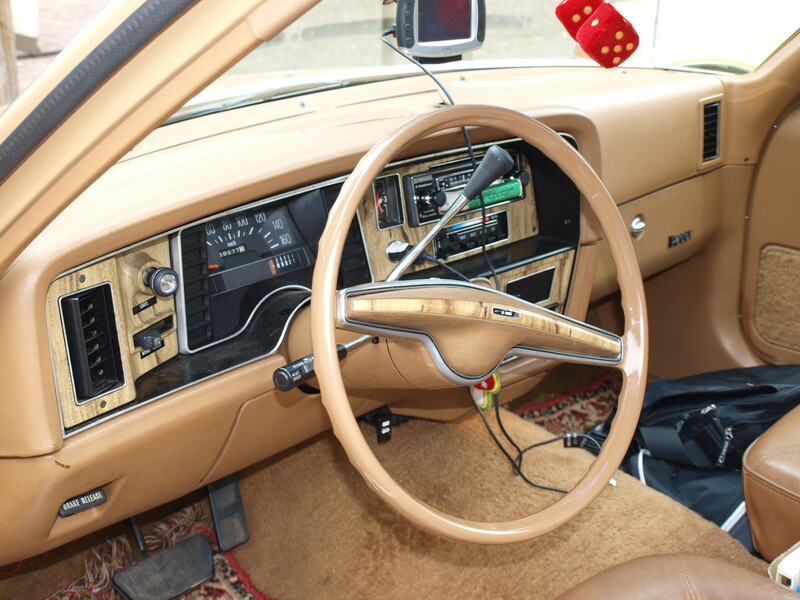 To address the lack of power the car was given a larger, even more uneconomical straight six as well as a V8 but when the second energy crisis hit in 1979 as a result of the Iranian revolution, the Pacer was officially fighting a lost cause. Production ceased in December 1979 with sales continuing into early 1980. AMC itself struggled on for eight more years under different management arrangements with Renault, the French manufacturer, before finally selling out to Lee Iacocca’s Chrysler. In the years that followed the legacy of the Pacer started to take shape. 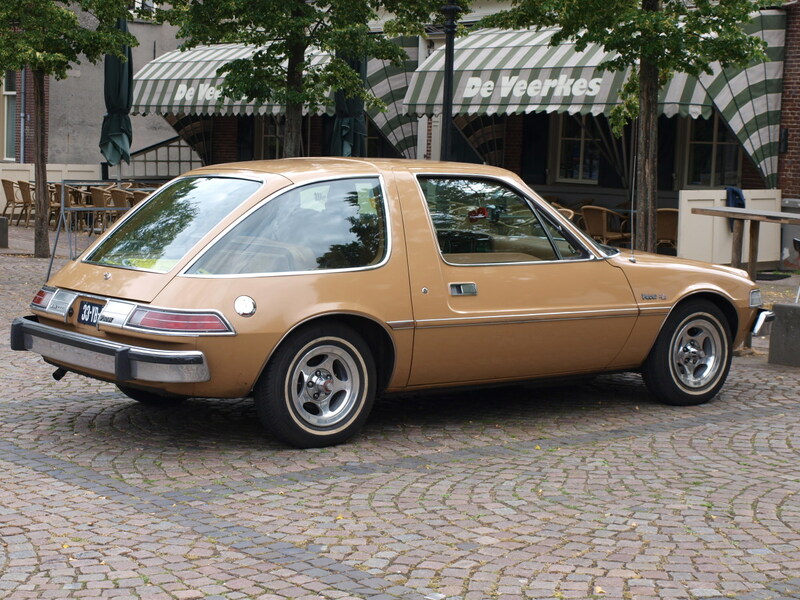 Derided and loved in equal measure, the Pacer began to carve a unique place for itself in American automotive history. 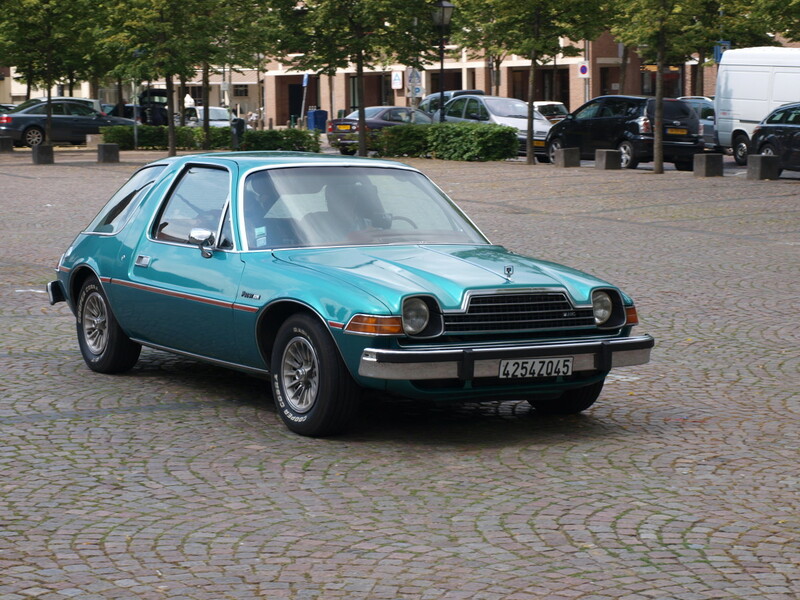 The Pacer gained fame, almost a re-birth, in the 1990s when it featured as Wayne and Garth’s light blue ”Mirthmobile” in Mike Myer’s Wayne’s World, taking a starring role in the famous "Bohemian Rhapsody” scene. Rapper Eminem also used a Pacer to perform donuts in a car park in the video for “The Real Slim Shady”. Homage to the Pacer can also be found in 2011’s video game “Driver, San Francisco”. 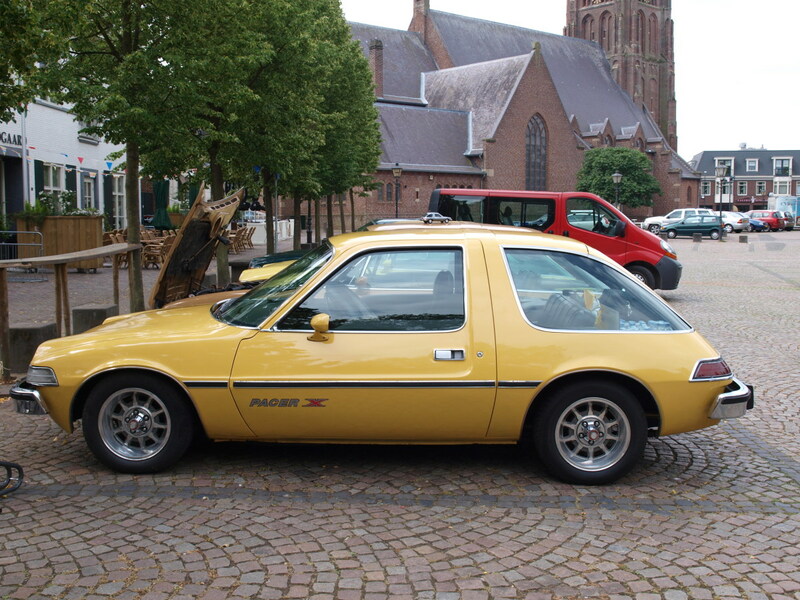 The Pacer represented an effort to create something different. The concept was great; it was just the execution that went awry. So we are left still waiting for that truly great urban vehicle that will carry us around like Neil Armstrong on acid, casting aside those common enemies of traffic congestion, noise, pollution and energy shortage. For one moment in time the Pacer nearly did all that. It very nearly was tomorrow's car. Like all brilliant engineering concepts that burn brightly before burning out, the Pacer has been thrown onto the scrapheap of heroic failure. Sometimes it seems we are too conservative for our own good. It is one of the ironies of capitalism that the very freedom to experiment with a fresh idea sometimes provides the agent for its demise, for in the end everything is determined by profit and loss. It is the first rule. Something cannot merely exist because it is aesthetically beautiful or conceptually brilliant; it has to make money. It is the price we pay. The Pacer should have been given wings and been set free to fly. But as with other great but ultimately commercially flawed concepts such as Concorde or the Hovercraft, instead of having the courage to push on and build something greater, we let it crash upon the altar of capitalism. And so instead of leading us into our Utopian future where we all zip around like the Jetsons, the little car just faded away. As for Cousin Cliff, he outlasted his Pacer and lived, still smoking, to be 100. Many thanks to David Dunnebier - 63cpe - for the kind use of his photos. Check out David's Photostream for loads of other great Pacer pictures. I had one too. I sold it when it died on me in the middle of a busy intersection. I had a love/hate relationship with that car. I want a pacer so bad ..i just love to see one on the road ..if i could get one believe id b driving it .to me that we ould b the best ever .. I work for AMC from 1972 to when Chrysler bought us and worked until 2002 with them but my claim to fame was I and a group of seven hand built the first 7 Pacers with the engineers. I worked for an AMC Dealer in Garland Tx. In 1975. We sold Pacers as well as Gremlins, Hornets and yes the Matador. 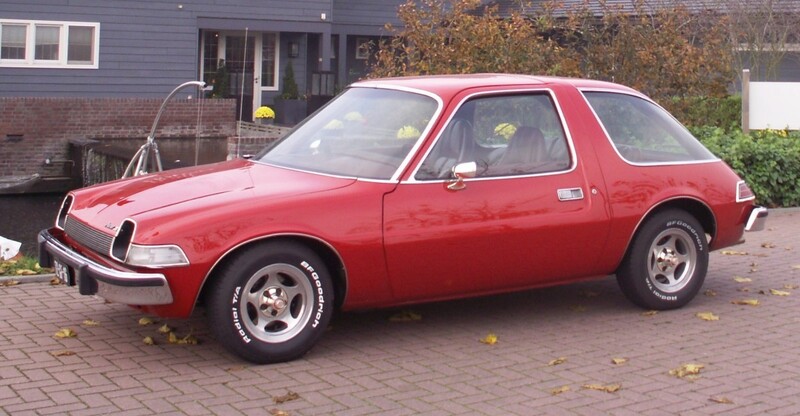 I never could explain why one should by the Pacer when the Gremlin was a much better car and sold better. Nice Article. no mention at all of the "Wagon" that did help boost sales, or pictures? The wagon was an important part of the history of this car, for the 2nd half of it's life. :) Not sure if you have driven one of these, but they drive great (at least mine does). I was an American Motors Dealer in 1976 and sold Pacers, The Greenhouse Car. Thanks bildo, glad you enjoyed it. Ugly but beautiful at the same time. Only AMC could do that without really trying. Have a good day. Thank you Wetard, you are right. Yes, it was 4 inches longer. I'm not a Pacer fan but you did a great job of writing about this car. Almost (but not quite) makes me want to get one:) Think I'll stick with Mopar for now though. Thank you so much for commenting David, I’m very pleased you like it. Everybody loves the photos. Yes, when they imported them here they just moved the steering wheel over and put a linkage over to the other side. I bet it was awful to drive. Hope you had a good trip home. Great story Horatio! Good read. We went to a kit car show in Detling (Maidstone) and as my car is from 1975, we thought it was entitled to a parking place on the showground next to a shark-nosed Corvette, an Aston-Martin Vantage and an MG Midget. But NOOOO. I had to park at the ordinary parking place...Typical case of mistaken identity! There were about 25 Pacer sold in England (if my figures are correct) and were converted to right hand drive by the importer. These adaptions made the car a real pain to drive...that's one of the reasons why so little Pacers made it to Britain. On handsome I won't comment - but perhaps more portly! How odd you mention that, Tony P. If you mean as played by Greogory Peck in the film version, then the answer is yes. For there are some say I'm the spitting image of the Hollywood legend. Although somewhat more handsome it must be pointed out. Are you related to Hornblower ? Chipmunk, hey? I've been called worse. Thank you for reading and commenting. Glad you liked the story bit. 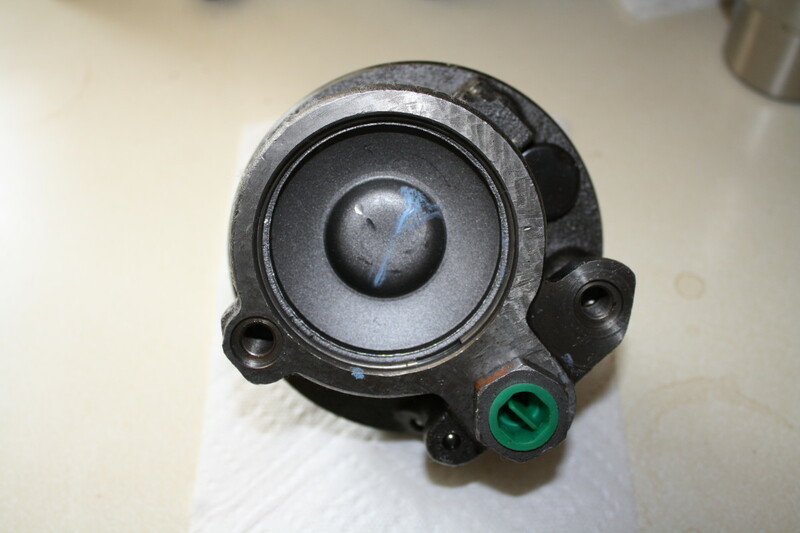 And you're right about the Wankel engine. In fact it's made me laugh like a hyena (or a chipmunk) since I was about 11. Aw, sad ending..poor Pacer, I was getting quite into its story. What a cool car! Great hub, Horatio (I know that's not your name but I really like it, I have a stuffed chipmunk called Horatio). Voted up and interesting! Thanks SB. It could be the start of a wholw new Top Gear Feature, "Star in a very wide, very slow car." The Pacer kinda grows on you! I would like to see the guys from "Top Gear" road test it...voted up! Yes, you’re right aksem. It’s something we used to call personality. Thank you for reading. Kitty – I did use the Subtitle Capsule but I think I squashed it all up a bit too much. I was worried the Hub was too long as I got a little carried away when writing it. I think the result turned out to be too blocky with too much text. I’ve broken it up a bit and added a few more pictures. Hopefully it looks a bit better now. It’s still long though! Great hub. I had never heard of these cas before and, although not something I would go for personally, you made the topic interesting. 75' was a good year. (I was born too.) haha. Very imformative and great pics. Voted up and interesting.